Download Firefox free here. Firefox is one of the world's most popular browsers. 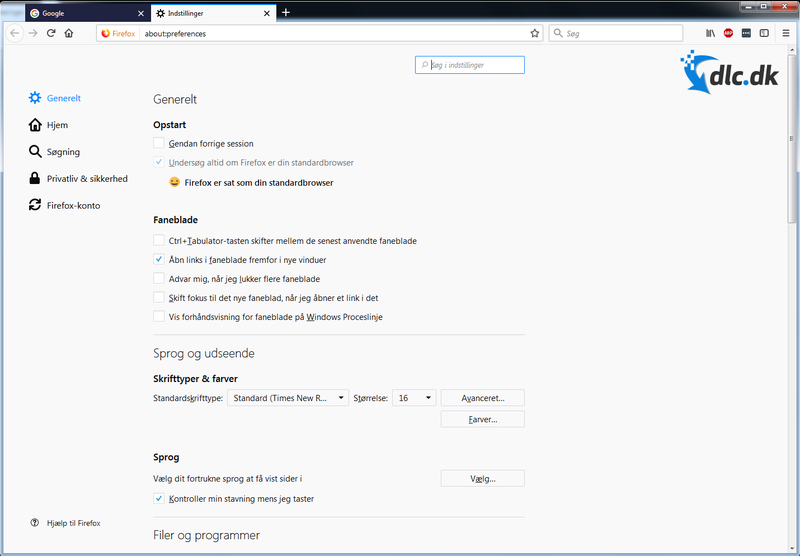 Firefox quickly became a favorite browser with a lot of computer users and it is quite understandable. A well-designed browser can complement one's daily computing, and Firefox is so well-designed. Mozilla Firefox is a fast, easy and transparent open source browser filled with valuable features. Back at the launch of the browser in 2004, Mozilla Firefox was the first browser to challenge Microsoft Internet Explorer's dominance. Since then, Mozilla Firefox has consistently been featured in top 3 over the most popular browsers worldwide. And that's why there's a reason. 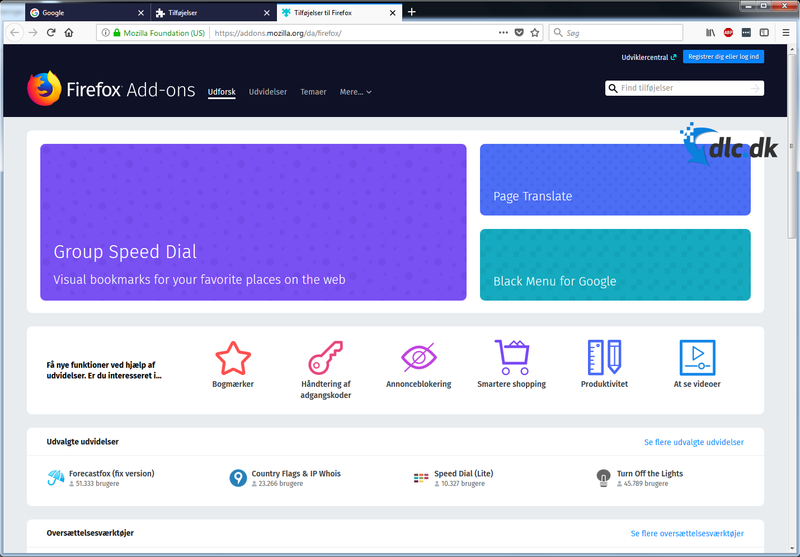 Firefox is a fast, functional browser that contains popup blocking, tab browsing, integrated Google search, simplified privacy control, a streamlined browser window that shows you more of the page than any other browser. The program includes many other features that work with the user to help him / her make the most of the time when online. As mentioned, Firefox has a host of features that helped make the browser popular. 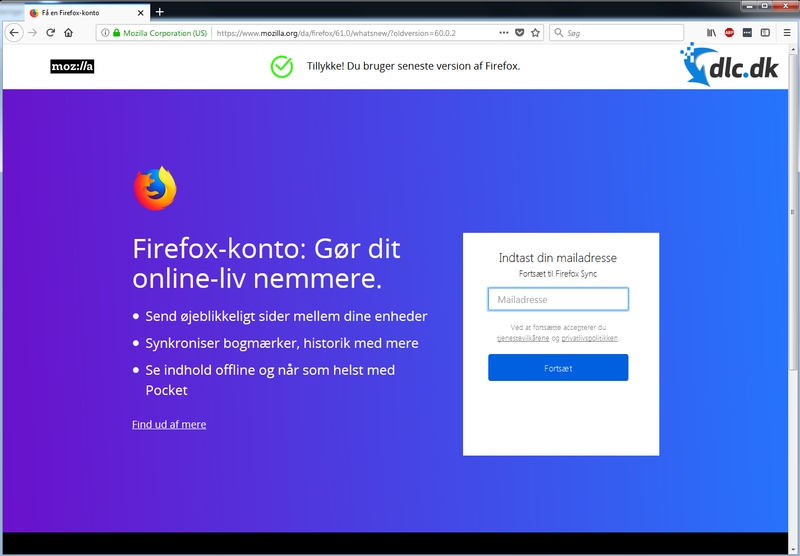 Some of the features have become standard in newer browser development, but Firefox was one of the first to add features such as to remember one's username and password when logging in. An extremely useful feature that makes a workflow far more manageable. Of course, it is possible to deselect automatic password and username, but in addition to the user-friendly aspect of it, automatic recognition also means enhanced security. If your computer should have a keylocker, it can not capture your password as you do not manually enter it when you visit different websites. As seen above, it is possible to deselect the username and password recognition. Additionally, exceptions can be selected, so if there are specific websites that should or should not remember password, just add them. Firefox is also one of the fastest browsers to search online. The reason for this is The easy navigation options that Firefox has designed. 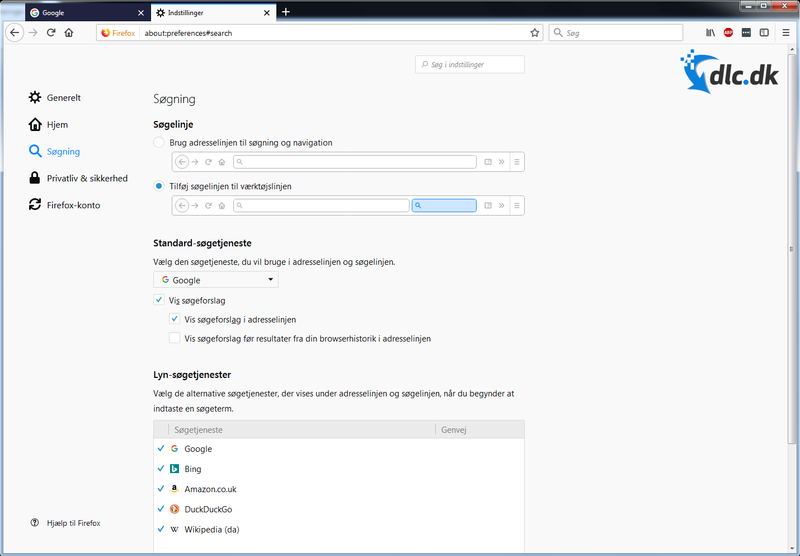 You can freely choose whether Firefox should use the address bar for search or as you want to add a search bar to the toolbar. Then you can choose which search service you want to use. We recommend using Google, as Google is generally recognized as being the fastest and most useful search engine on the market. Using Lyn Search Services, you can select a search engine that can start searching as soon as you enter the desired search term. Again, we have used Google as our standard search service. The first browsers on the market had disappointing security features, but as time has passed, safe browsing has quickly become a standard task for newer browsers. Firefox is certainly no exception here as Firefox has the right essential security features preinstalled. If you are visiting a website that threatens your health, Firefox will automatically warn you. It's a huge advantage to have a browser that keeps your computer protected directly from the source, and it provides space and profits for one's security program. The most common reason for attacking viruses, spyware and other threatening malware is through downloads and general file retrieval, but here too, Firefox will protect you. If you are downloading an insecure file, Firefox will automatically block the file. If you are absolutely sure that the file is not dangerous, you can always choose to download anyway. Online privacy is becoming more and more relevant and can be achieved in several different ways. With Firefox you already have a privacy element. By pressing Ctrl, Shrift and P simultaneously, a new window opens allowing private browsing. In this window stayAre your visited pages, searches, cookies, and temporary files not saved. However, your bookmarks and downloaded files will be saved. Firefox is also the only browser we know with protection against tracking. It thus works as Firefox blocks tracking technologies that try to gather information about what you do on the Internet. Although private browsing provides relatively good protection of one's privacy, you are still not completely anonymous. If you want complete anonymity, we recommend checking out our category for privacy online. We imagine that a designer feels rather limited when designing a browser. For a browser to be easy to look at, and features should not be difficult to find, and yet not too hidden. Basically, it's a challenging task, but Firefox has been successful. Firefox is incredibly easy to navigate, and features are hidden - but not so hidden that you can not find them quickly. The well-developed design also means that anyone, wherever technologically sharp, can be involved. This results in excellent user-friendliness, which is just a huge plus. It's quite understandable that Firefox has so much popularity among computer users. This browser is fast-paced for all conceivable tasks, and the enhanced security features are an excellent addition. Firefox has also been on the market for some years, so the developer Mozilla has gradually gained some experience. Mozilla also provides Firefox with relatively frequent updates, both in terms of design and optimization. This means that you can easily get used to Firefox, and for this browser it is undoubtedly still relevant for years to come. Many of us in the office use Firefox daily, as it is one of our aboslut favorite browsers, and therefore we can only recommend it highly. Find FireFox, mark it and choose "Uninstall"
Should FireFox has been damaged or corrupted and thereby difficult to remove we can recommend you finding help to uninstall it here.